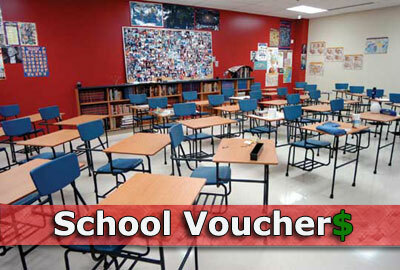 Will vouchers pass the test? UPDATE: Superior Court Judge Robert H. Hobgood issued an injunction Feb. 21st blocking North Carolina’s voucher program from moving ahead, pending a final resolution of two lawsuits currently before him. Click here for more on that ruling. Superior Court Judge Robert H. Hobgood snapped plenty of people out of a snow-week slumber and made one thing clear on Monday, when he handed down the first of several rulings in the school voucher lawsuits: he was wasting no time. Over the course of several hours of argument, the judge disposed of three issues straight from the bench – allowing the Institute of Justice to join the lawsuits on behalf of the parents of voucher applicants, ruling that taxpayers had standing to sue the state over the program and refusing the state’s request to dismiss the cases outright. A critical test for the voucher lawsuits will come on Friday, though, when attorneys for the individuals, groups and boards of education challenging the “Opportunity Scholarship” Program ask the court to delay its implementation while the judge considers its underlying constitutionality. That’s a tougher one to pass than those answered by the court on Monday, but one which, if successful, is usually a good barometer of where the judge is headed in terms of a final ruling in a case. Given the judge’s performance on Monday, there’s a good chance both sides will know which direction that is before they leave the courtroom at the end of the week. Arguments by both sides on Friday will largely be a reprise of those made on the motions to dismiss which the court denied on Monday. But the standard by which the judge will evaluate them changes. On the motions, Judge Hobgood determined that the facts and allegations asserted in the complaints — presumed true for purposes of argument – sufficed to state a claim under the law. For an injunction, though, the judge will have to determine whether plaintiffs are likely to prevail given the facts and proof before the court and that, in the absence of an injunction, they’ll suffer irreparable harm. Attorneys for the parties challenging the voucher program have made several arguments in support of their claim that the program violates the state constitution, but boiled down, their position is this: When the framers of the state constitution said that funds for purposes of public education be used “exclusively” for free public schools, they meant what they said. “Exclusively” was not just a word thrown in for color, the attorneys argue; it was intended to restrict the use of taxpayer dollars for a specific purpose. The state slices that constitutional provision a different way, arguing that only funds specifically earmarked for public education need to be spent “exclusively” for free public schools. Here, state attorneys contend, the General Assembly lawfully appropriated $10 million from the General Fund – not funds set aside for public education – for the Opportunity Scholarship program. It was a new appropriation for a new program, they say, though one strangely placed within the budget for the state’s university system. 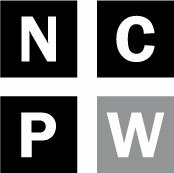 A sleight of hand, attorneys for program’s challengers called that maneuvering on Monday, showing that at the same time the General Assembly was moving $10 million into the UNC system for vouchers it cut $11 million from the public education fund. “A budgetary shell game does not neuter the constitution,” Burton Craige, an attorney for the plaintiffs, told Judge Hobgood on Monday. Convincing the judge that they’re likely to prevail on the merits of their constitutional challenge is only one step on the way to an injunction for those challenging the voucher program. They also have to persuade him that they’ll be harmed should the program move forward while the cases are still pending. The state is already spending taxpayer money to get the program up and running and will disburse significant amounts once applicants are awarded scholarships, the challengers say in court filings. Once those taxpayer funds are spent they cannot be recovered, and the state may then be bound to recipients for funds coming from a program that may ultimately be declared unconstitutional. State officials moved full-steam ahead with the Opportunity Scholarships, knowing that lawsuits already pending in the court could doom the program. At least some of the $400,000 budgeted for administration has already been spent, and more than 4,000 applications for vouchers are in the queue thus far, with a February 25 deadline looming. After that, those that meet eligibility requirements will be entered into a lottery and an estimated 2400 students will be notified of an award on March 3. Whether such awards would bind the state to any payment on behalf of a student is an open question, though the only proviso specified in the program is that an appropriation of sufficient funds be made by the General Assembly – a fait accompli. And when the state would actually disburse funds is likewise uncertain, though arguably that would happen well in advance of the 2014-2015 school year. But the state is now offering the program’s status as at least one reason why an injunction should be denied, arguing that it will be harmed by any efforts to halt it now. That argument overlooks the ultimate question of whether Opportunity Scholarships are constitutional and presumes that the state should be allowed to throw good money after bad until the court provides an answer.